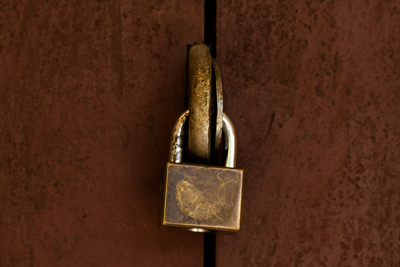 What good will deadbolt installation do to your security if you leave the back door unlocked? Do you think it's prudent to invest in first-class security bolts for the front door and secure the windows with simple latches? If you are under the impression that intruders will only walk in your house from the front entrance, you are mistaken. The security of your house involves prudent decisions, immediate reaction to problems and good locking up. Anything less will just make your efforts and money spent on expensive security door locks worthless and certainly put your house at high risk. Intruders have a field day when they see homes with poor security systems or find open windows and unlocked back doors. Taking good preventive measures about your home security is definitely not a luxury but your obligation to your family. It involves four main steps, which can ensure peace of mind and secure premises. Choosing the right bolts for your house is vital. Bolts must be chosen based on the needs of each entry point and not what's fashionable or popular. The locks must have long bolts, which will penetrate the hole at the strike plate completely and the strike plate must be secured on the jamb with long screws. Lock installation also plays a dramatic role to your security and so you must make sure it is installed properly. Don't invest in front door locks solely. All entry points of your house must have good locks and not simple latches, even windows in the attic. Intruders always find ways to reach the unreachable points if they can enter a house from an unprotected entrance. Don't underestimate the importance of key and lock repair. When the key doesn't rotate properly in the lock, the strike plate is loose and you need to put force in order to lock the door, take action and fix the problem. Do you know how many people invest in good bolts but forget to secure them? Lock your doors and windows at night and keep them locked throughout the day as well. Perpetrators don't work with a schedule.